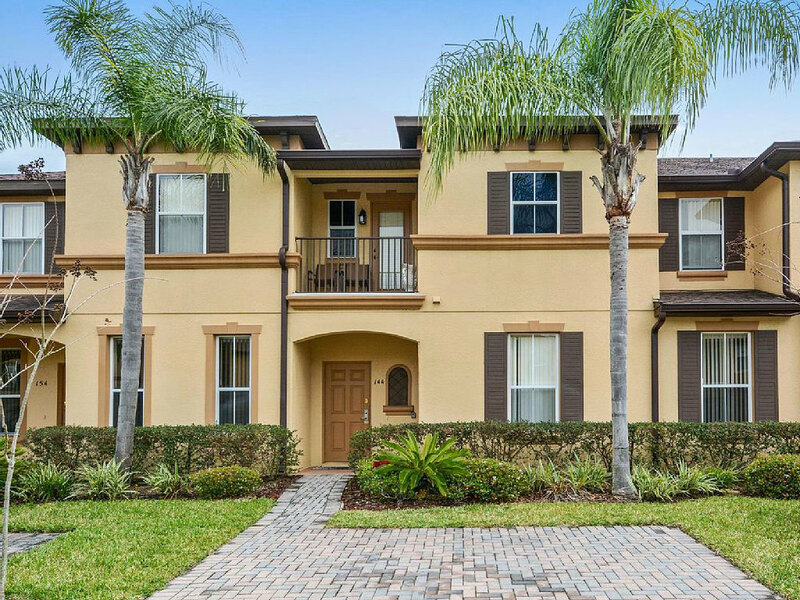 If you are planning an Orlando vacation to visit any of the parks (Disney, Sea World, Universal) or to play golf on a highly rated course, or just wanting to get away to enjoy the beautiful weather, we have from 3 – 7 bedroom homes to rent. All have been completely updated and include wifi, equipped kitchens and plenty of room to relax. Our onsite Property Manager is there to take care of any problems. Renting a vacation home is much cheaper than renting small hotel rooms (learn more about that here). All of our homes are located in beautifully maintained neighborhoods and close to all the attractions! Check out our VRBO sites below for pictures and descriptions of each house. If you have any questions, please contact me! My email and phone number can be found on each VRBO listing. Our townhouse has been upgraded from top to bottom! 3 Bedroom (1 king, 1 queen and bunkbeds), each with their own en-suite bath. Enjoy spreading out on your vacation with a fully equipped kitchen, living room, dining area, washer/dryer and wifi. Just minutes for I-4 for quick access to all of the major theme parks, shopping, restaurants that Orlando has to offer. Regal Palms resort has a lazy river pool, water slide, tiki bar, volleyball court, day spa, gym, restaurant and 24 hour check in. Completley renovated single family home located in the Highlands Reserve Golf community. 5 Bedrooms (King; Queen; 3 twin bedrooms). Wifi; LR w/73' high def TV/blu ray; Gameroom w/pool table; darts; basketball game, Wii; optional pool safety fence (if you have small children); Community pool and playground. Large screened in deck with large lighted pool & BBQ. Walking distance to Highlands Reserve Clubhouse. House has everything you need including Screened in Pool complete with Jacuzzi Hot Tub. High Speed Internet with WIFI; HD on each of the 6 Flat Screen TVs; Sony Home Entertainment complete with Blu Ray. The house has 1 King, 2 Queens and 3 bedrooms with 2 Twin beds in each. The Villa will accommodate 12 guests. The villa has been fully equipped with all linens and towels needed for your vacation. The kitchen has all big and small appliances including blender, toaster and coffeemaker. Why stay in a cramped hotel?? Spread out in a 3200 square foot home. 6 foot lighted pool off of living room, completely screen in; gas grill; game area w/pool table, air hockey, foosball, basketball, darts and Play Station; Wifi; security system. Probably One of the Best Locations in the Community....no Rear Neighbors and What a View!!! the Back of the House Overlooks Open Fields and Orange Groves. Visualize Sitting On Your Own Private Pool Deck, Or Soaking in Your Own Private Spa, On a Warm Evening Sipping Your Favorite Beverage Watching the Disney Firework Display in the Distance! Can't Get More Perfect Than That! With 7 Bedrooms and 5 Bathrooms, This House is Very Popular With Larger Families and Extended Family/group Visitors.